TitanFile has announced not one, but two new features this February! 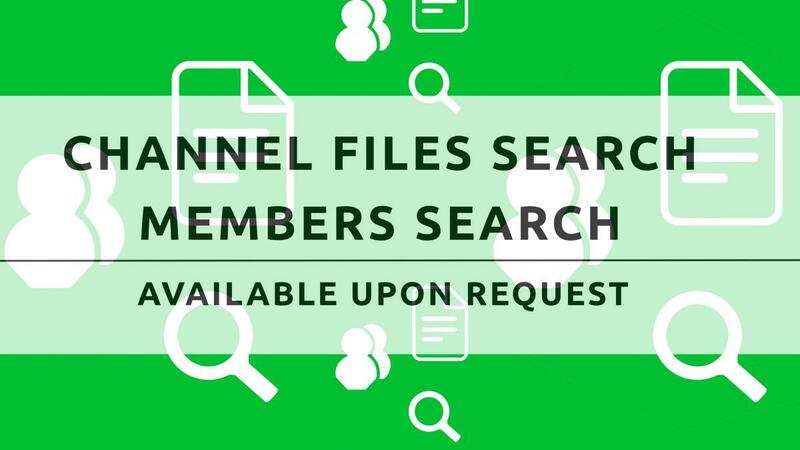 This month, we are introducing Channel File Search and Member Search to our secure file sharing platform. Channel File Search is a search bar for your files. It lets you find files in seconds by simply searching its name and hitting ‘Enter’. Members Search is a feature that allows admins to find their ‘Managed Users’ instantly using a search bar. Channel File Search can be found in all channels under the ‘Files’ tab and Members Search can be found by all admins under their ‘Manage Users’ tab in ‘Settings’. To test out these two brand new features, contact your account manager or send a request to support@titanfile.com! Get a free 15-day trial of TitanFile's secure file sharing solution. Sign up now. Sammi is the Community Manager at TitanFile. Her areas of expertise include content creation, digital marketing, and brand strategy. At TitanFile, Sammi loves to learn and write about cybersecurity and envision business strategies in improving and optimizing workflow. See how easy it is to share files securely. No Credit Card Required.